Great post, LuAnn. Thanks for the suggestions. 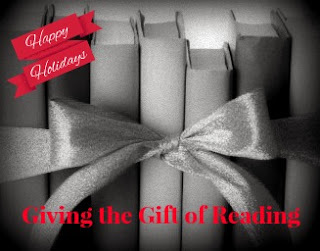 I know an author who collected other author's books this year to donate to a local Salvation Army for the toy drive. Great idea and a way to promote the love of reading and get books in the hands of kids that want a book! Hi,LuAnn. I enjoyed your article. Reading nowadays is a rare phenomenon among young people. books facilitates mental abilities. I am pro reading.